Aqualife's Haven spa is your own at home oasis. This spa gives you luxury in a durable unit with a low maintenance, impact resistant exterior. All 20 jets are powered by a two-speed energy efficient pump that allows you to have a quiet relaxing evening or melt away the day's aches and pains with the high-speed hydrotherapy setting. A digital back lit control unit allows you to customize your experience setting the mood while you enjoy your spa with up to five other people. This rotationally molded spa is made from quality granite resin that features a fully insulated interior allowing your spa to retain optimum heat from your all-season stainless steel heater all year long. Ready to go right away with its featured PLUG & PLAY connection this spa will perform all year long. The Haven spa also comes with a heavy duty, insulated tapered cover with locking clips that allows you to easily and comfortably close your spa to the elements. 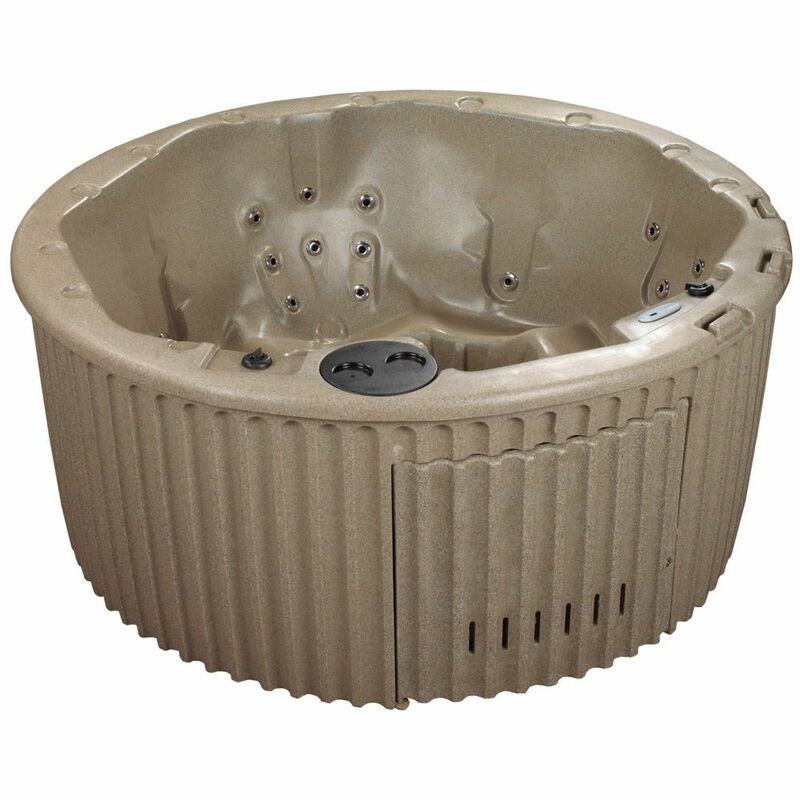 Haven 20 Jet Cobblestone Standard Hot Tub PLUG & PLAY Aqualife's Haven spa is your own at home oasis. This spa gives you luxury in a durable unit with a low maintenance, impact resistant exterior. All 20 jets are powered by a two-speed energy efficient pump that allows you to have a quiet relaxing evening or melt away the day's aches and pains with the high-speed hydrotherapy setting. A digital back lit control unit allows you to customize your experience setting the mood while you enjoy your spa with up to five other people. This rotationally molded spa is made from quality granite resin that features a fully insulated interior allowing your spa to retain optimum heat from your all-season stainless steel heater all year long. Ready to go right away with its featured PLUG & PLAY connection this spa will perform all year long. The Haven spa also comes with a heavy duty, insulated tapered cover with locking clips that allows you to easily and comfortably close your spa to the elements.